Build your child’s reading comprehension with these comprehension packs. Each pack includes a text, questions sheets, answer sheets, a sheet of related activity ideas and a colouring page. Download, print and learn! 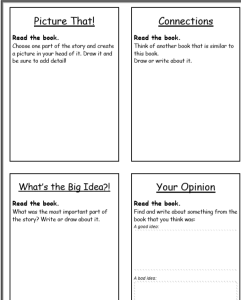 Use these worksheets as a resource when teaching or modelling comprehension strategies and/or reading strategies. Each text is available to print as a single page or ready to be cut out and stapled as a booklet. 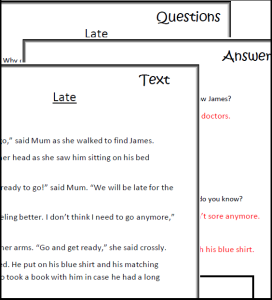 These comprehension worksheets are a great resource to use for a focus on comprehension work, but remember that any books your child reads can be used to work on comprehension skills (often more effectively as they allow practice in context). Different types of books provide different focuses and allow for different comprehension skills to be practised. For example, children should be given exposure to fiction texts and non-fiction texts as the comprehension skills required often differ. Our Reading Task Cards are a great way of getting children to engage more deeply with texts. Be sure to read up on comprehension strategies. Use Blank’s Questioning Techniques for a guide to developing your child’s comprehension skills.